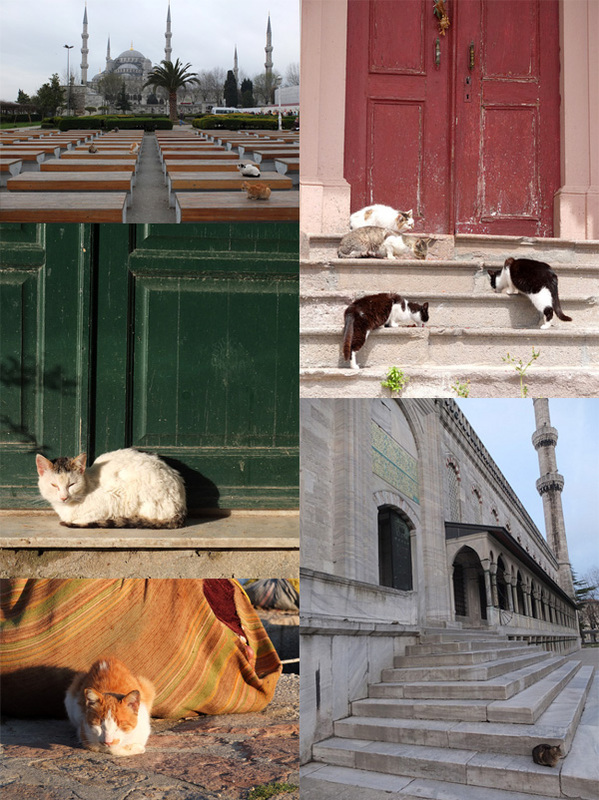 In general cats are not overly visible in the suburbs or in the cities here in New Zealand. Cats that a visitor meets will belong to someone - they'll just be out and about being sociable, filling in their day. Some cats live rough on the streets, and kind folk do feed them, but in theory both the city and the country Kiwi cats have homes, warm beds in winter, fresh pet meat for treats, and so on. 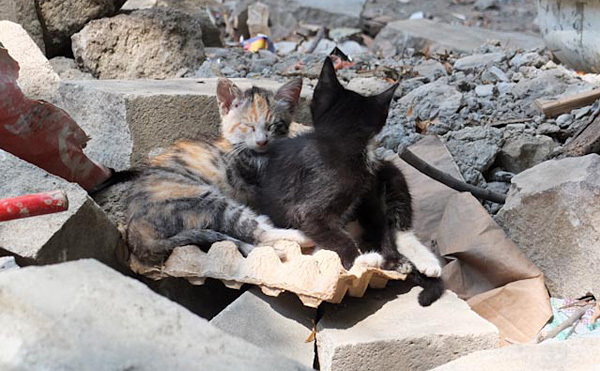 Local groups in my city are busy helping feral cats, using the Trap Neuter Return programme. 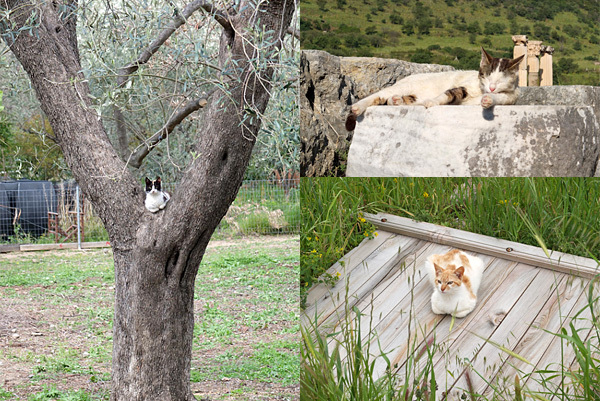 Feral kittens are fostered, socialised, de-sexed, and then forever-homed. Like the cats at Mooseys! It's not surprising that Daughter of Moosey has become a bit of a cat-magnet. Apart from being related to an extreme cat-lover and cat-rescuer (me), she's been touring with her pockets full of dried cat food. Just in case. Enjoy! 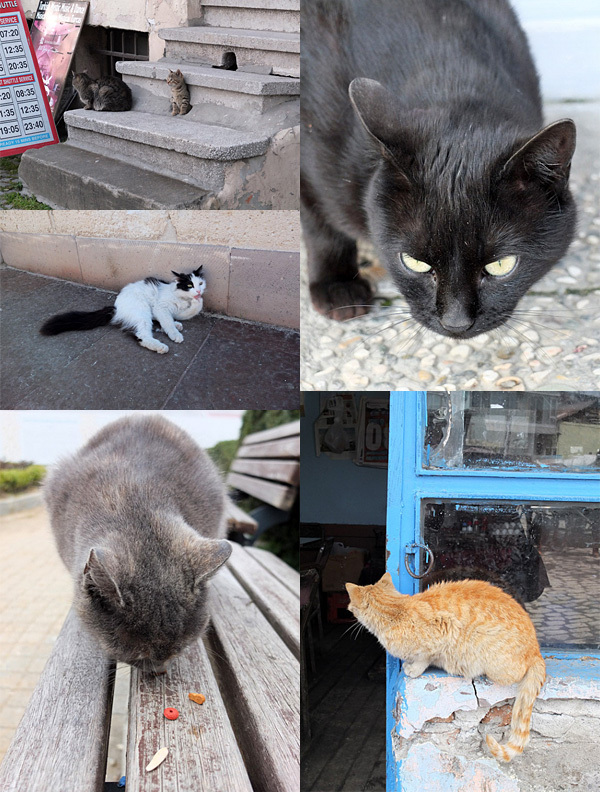 The cats in these pictures from Turkey and Greece, and the two kittens are from Baku, Azerbaijan.